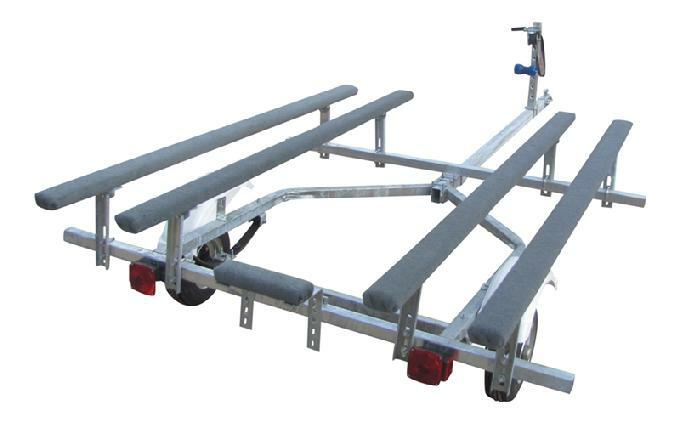 If you’re interested in inflatable boat trailers, Magneta Trailers has you covered. Whether you have been shopping the Kodiac trailer options or have simply just begun the process of checking out trailers for inflatable boats, we’re happy to help guide you in right directs and help you look at the specifications and details that can be incorporated into boat trailers to make them not just perfect, but perfect for you. When you have an inflatable boat, you want to be able to haul it to the location of your choice with safety and ease. That’s why we create inflatable boat trailers that are exclusively designed to help you do just that. Our inflatable boat trailers and Kodiac boat trailer options are manufactured with the best in class design and the most innovative techniques to ensure that you can enjoy more fun on the water without worrying about the integrity of your vessel while you get there. Contact us to discuss inflatable boat trailers today. * 2 -4 OR 6 Foot tongue extenders can be added for longer boats or beach launch / loading.